We’ve been awarded the title of Best Abseiling Experience in the UK thanks to The Adventure Awards and YOUR votes. 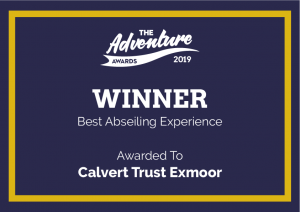 Calvert Trust Exmoor received the win over four other UK abseiling experience provides. Finalists are companies and establishments that excel in what they do, then category winners are based on the public vote. So a BIG thank you for voting for us! The Adventure Awards recognise the best adventure experiences across the country, celebrating the hard work it takes turning a challenging activity into an unforgettable experience for all. As you know, our award-winning centre enables people with physical, learning, behavioural and sensory disabilities to experience exciting, challenging and enjoyable outdoor activities. 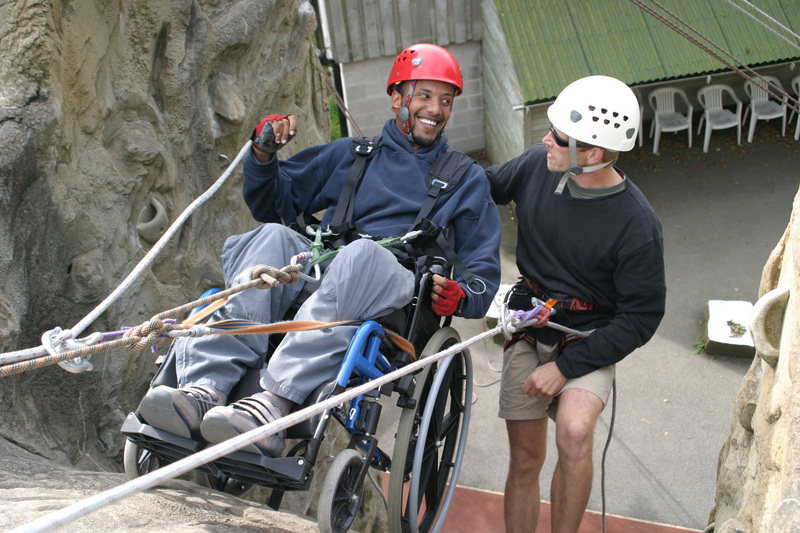 Fully inclusive stays enable guests of all ages and levels of abilities to enjoy personalised activities such as horse riding, canoeing, zip ling, archery and abseiling. It’s great to be recognised for our abseiling facilities, thank you again for voting for us!